Click here for ordering information for this book. 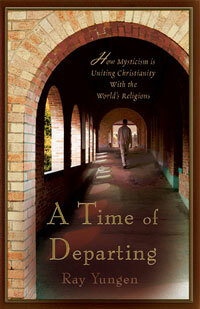 Description: A revealing account of a New Age spirituality that has infiltrated much of the church today. Exposes the subtle strategies to compromise the gospel message with Eastern mystical practices cloaked under evangelical terminology and wrappings. Author Bio: Ray Yungen, author, speaker and research analyst has studied religious movements for the last twenty years. He is available for radio and television interviews and for seminars, conferences and college assemblies. His exuberance for life and his love for Jesus Christ and for people are evident in his writing. Mr. Yungen resides in Salem, Oregon. Quantity and international discounts available. Click here for ordering information for For Many Shall Come in My Name. Description: An Ancient Wisdom is drawing millions of people into mystical experiences and preparing the world for the end of the age ... find out how. Most people believe the New Age has been long gone from our society, and if practiced at all now it is only by unconventional fringe types. For Many Shall Come in My Name reveals this is not the case. In fact, quite the opposite has occured. The New Age movement (a term not normally used by its proponents) has permeated virtually all aspects of our society. This “Ancient Wisdom” spirituality can be quite readily encountered in the following fields: Business, Education, Health, Self- Help, Religion, and Arts & Entertainment. This book examines them all. Ray Yungen, author, speaker and research analyst has studied religious movements for the last twenty years. He is also the author of A Time of Departing. He is available for radio and television interviews and for seminars, conferences and college assemblies. His exuberance for life and his love for Jesus Christ and for people are evident in his writing. Mr. Yungen resides in Salem, Oregon. Click here to buy For Many Shall Come in My Name. Yungen has done vast research into what is commonly called the New Age movement-"The age of Aquarius, supposedly the Golden Age, when man becomes aware of his power and divinity" (p. 108). The New Age movement, which came to the surface of our awareness in the 1970s, is a fusing of Eastern and Western thinking. Yungen devotes individual chapters to documenting New Age thought in education, business, medicine, politics, the media, self-help/psychology, and religion. 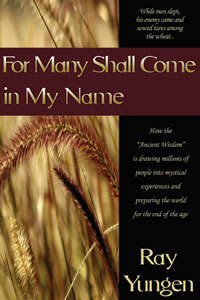 The last three chapters contrast New Age thought with Scripture, the last chapter presenting a clear gospel message.